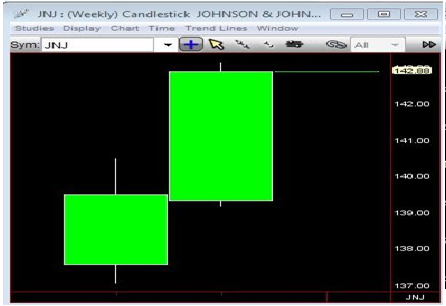 Home Candlesticks What Do We Know to Be True About Price Action? 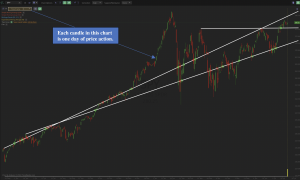 What Do We Know to Be True About Price Action? What Do We Know to Be True? 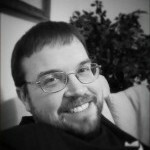 This is a Guest Post By Robert F. Smith @RobInTheBlack of T3Live. There are two things that immediately jump out when we pose the question “What do we know to be true” when it comes to trading full time for a living. First, almost everyone will fail. Second, everyone begins excited and eager to learn. So what goes wrong?? If your journey is anything like mine, it goes something like this. You begin by devouring as much information as you can, only to learn that almost every method comes with an asterisk . *Some things work during certain conditions and others work in different conditions. So the problem becomes that once you figure out what condition you are trading, the condition changes. You may then ask yourself, where is the ‘What condition are we in’- indicator?? There isn’t one. Now that you have learned about patterns and indicators and still lose, some throw in the towel blaming themselves that “I’m just not cut out for trading.” That is usually not a true statement. The truth is that as much as most people learn that their trading ultimately comes down to subjective analysis. I won’t even go into how most education doesn’t even cover risk management, but that’s a blog for another time. At this point you are still capitalized and have the resolve, you resort to something called “Screen Time.” Screen Time is the belief that if you look at enough charts that over time you will obtain what I call an “Educated gut.” By this I mean that although you may not understand why things occur, that by observing what you hope will be a repetitive nature to price action will eventually become more clear over time. I would that this is true. However, it took me 20 years and then another 7 years to refine what I am going to present to you here so be prepared for a long journey. The moral of the story, subjectivity is the enemy of the trader. So how can We trade based completely on what we know to be true, as opposed to what we think? Simply ask ourselves, what do we know to be true? Here’s what we know, from one bar to the next, there are only three possible outcomes or scenarios. To make a new low. This is called an inside bar and by definition is consolidating. The second scenario is where the second bar takes out one side of the previous range. This by definition can be considered directional trending as a break has discernably occurred in one direction. known as an outside bar . Since once a scenario 2 fails, We can combine more of what I’m going to show you to expect the range to indeed expand again to for the outside bar. This phenomenon is possibly the biggest miss in our industry. Almost every book on technical analysis claims that the broadening formation is extremely rare, when the truth is it is one of the only things that can possibly happen. 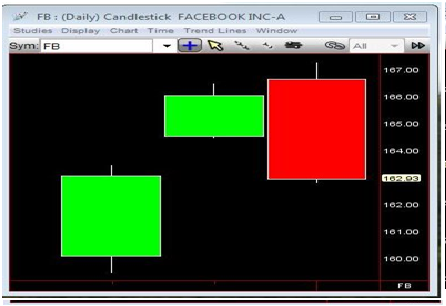 A broadening formation is a pattern where ranges continue to expand on both sides, thus an outside bar is a broadening formation when you shorten the time frame of the chart. It must be because by definition the range is expanding on both sides, Here’s Google on a 30 minute chart over the past few days and it’s corresponding outside bar on the daily chart. What do we know to be true?? There are only 3 scenarios that can possibly play out from one bar to the next , it is impossible for price to do anything else, and that range expansion on both sides indeed occurs because outside bars exist. So what else do we know to be true? There is always a debate when the market is dropping of “Is it near a bottom?” This is to say that most will use subjective analysis to attempt to identify what a reversal is. You’ll hear things like “Capitulation volume” etc. The truth is there are only 4 ways that price can reverse. First, Scenario 2 in one direction followed by a 1, then a scenario 2 back in the other direction. Second, a scenario 2 in one direction followed by a 2 in the opposite direction. Third, Scenario 2 fails and goes scenario 3. An outside bar. 4, Scenario 3 occurring at a high or low followed by a 1, then a 2 back into the previous range. 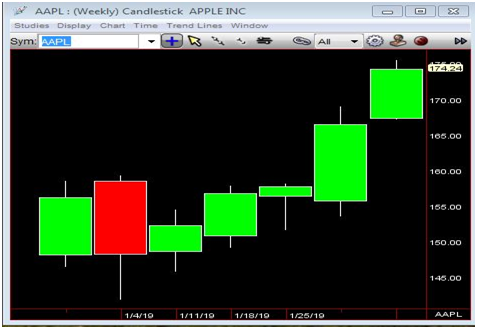 This occurred on the weekly chart of AAPL on it’s recent low. Not to mention October’s outside month to get short, but I mention it. Another problem many traders have is relating the term reversal to a major top or bottom. That’s not true. They occur all the time and are extremely useful during a strong trend. You may have heard the term or you use the term “I’ll buy on a pullback.” My usual response is “What’s a pullback?? 2 cents? 50 cents? 2 bucks?” The usual responses are things like “It’s coming into my moving average or support level” or “It looks like it stopped going down!”. So, we can define that a successful pullback is corrective activity that ultimately resolves higher. Therefore, any successful pullback that ultimately resolves higher also is a reversal and must be one of the 4 reversals I just showed you. This must be true as there is no other possible ways for that to occur. This is not to say that major tops and bottoms don’t have these reversals as well, they do as these are universal to all price action. Had you known this in October, you could have easily identified the reversals on the monthly charts of the broader averages. 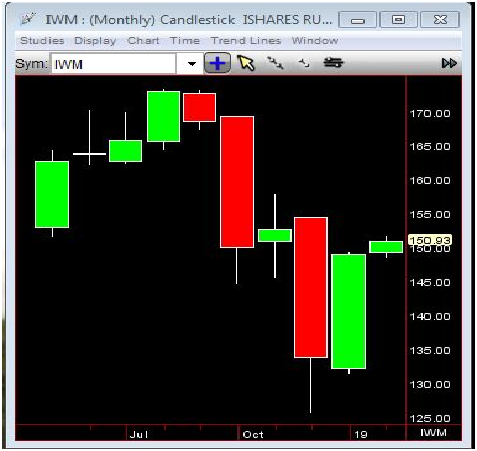 IWM 2-1-2 reversal. 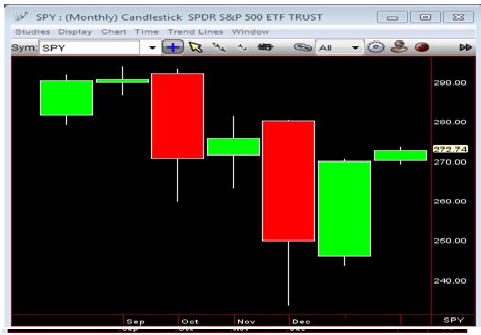 The 2-2 reversal in monthly SPY. 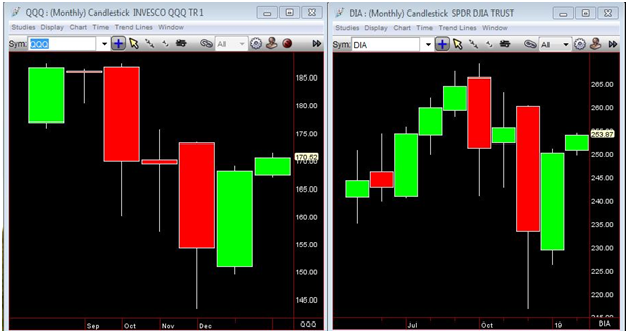 The failed 2 goes 3 in monthly DIA and QQQ. been negated by another reversal. It is common knowledge that most hedge fund managers don’t outperform the market. 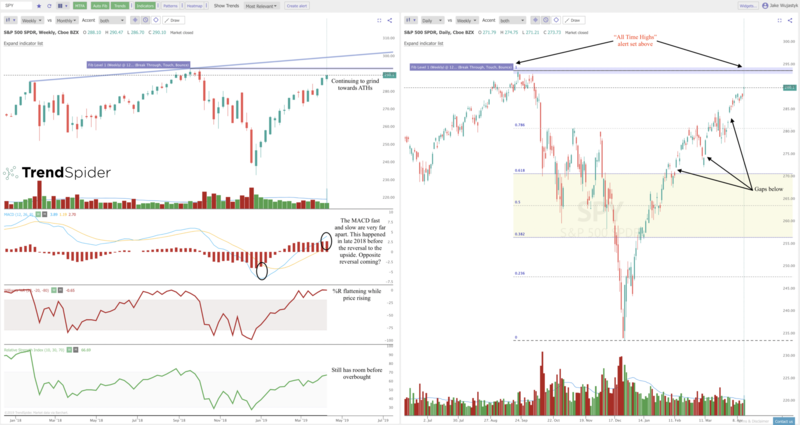 Here’s how badly you would have destroyed the market based on what I just explained to you using a macro yearly chart of SPY. reversal to get short. 2003 was an inside year then 2004 triggered the 2-1-2 reversal to get back long. 2004 through 2007 were 2’s. 2008 triggered the 2-2 reversal to get back short. 2010 then triggered a 2-2 reversal of 2009 to get back long. It’s been 2ing ever since except for 2016’s 3 year. So what do We know to be true? There are 3 universal scenarios and 4 types of reversals. So how do we put this all together? You may have noticed that my examples are on several different time frames. 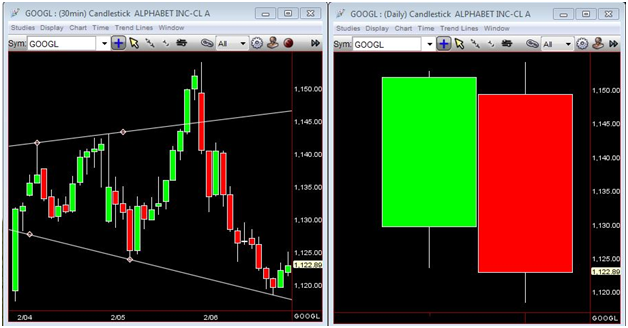 One of the biggest mistakes traders make is not using multiple time frame analysis . You need to use at least 4 time frames to understand what you are truly looking at. Most importantly, you need to understand that charts are simply visualizations of statistical data. Once you understand how to analyze the data the way I’ve just shown you, the clearer things become to what is truly occurring. To give an understanding of how little you know if you don’t, consider this. 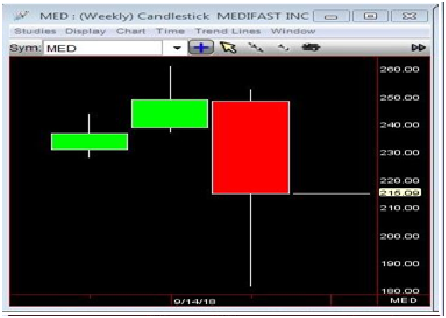 If a daily chart updated at noon instead of the opening, you would see a completely different chart. If a 30 minute chart updated at 15 and 45 minutes past the hour, it would also be completely different than a standard 30 minute chart. 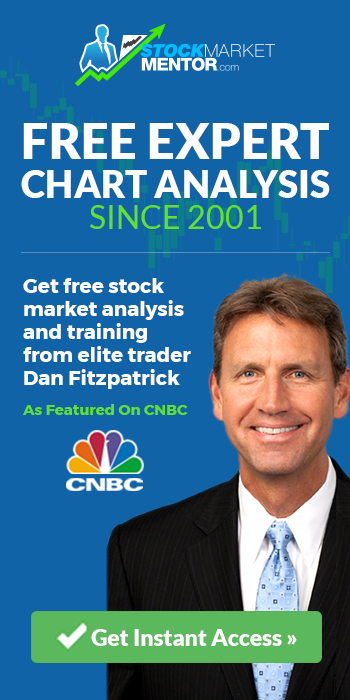 You would also have 10 different looking charts if you had weekly charts that updated every day of the week on the opening and each day at noon. So what you think you see on any chart is basically irrelevant to what is truly occurring. You are a prisoner of how software wished to present the data to you. So, an outside bar may not actually be presented, but we know that phenomenon exists. 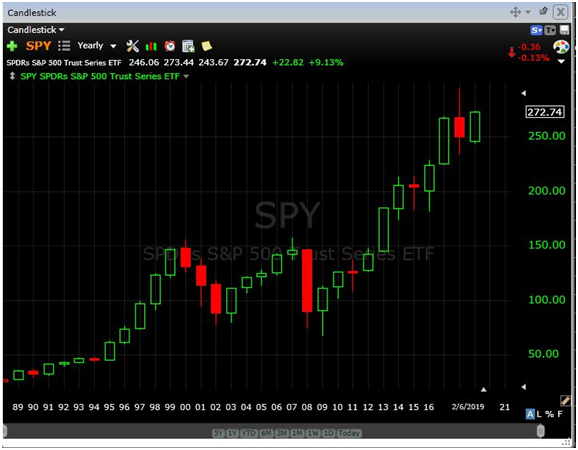 For instance, look back up to the yearly chart of SPY. If you look at the sell off from 2007 to 2009, you’ll notice that those 3 years were completely outside the previous 10 years. If this was a 3 year chart that updated in 2007, it would be an outside bar. Multiple time frame analysis can help mitigate such problems and continue to gain more insight on what is truly happening. I basically use the Monthly, Weekly, Daily, and 60 minutes as My major time frames. As you can see I also use macro Yearly and Quarterlies for the bigger picture. 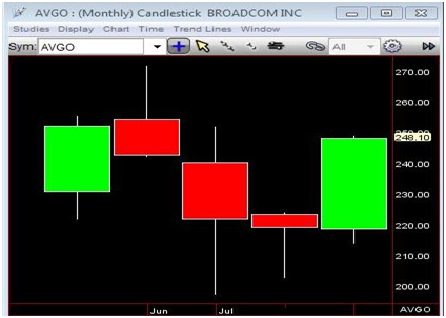 During periods of high volatility, the shorter term time frames are equally as important as in October an hourly bar could have the range of a monthly bar in September. 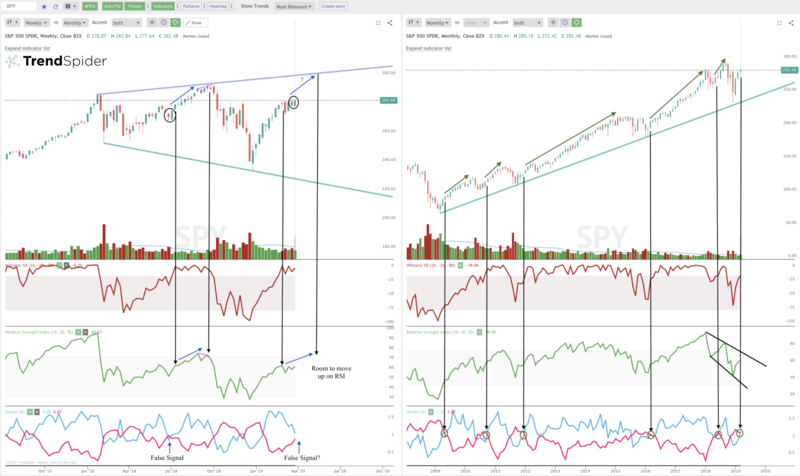 So, by lining up the scenarios and reversals across multiple time frames, We don’t think, We KNOW what is happening. 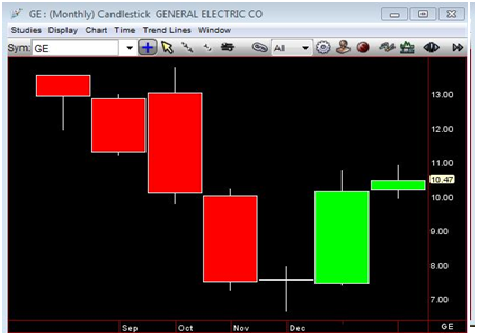 if we have a reversal on a monthly chart, We then know to look for reconfirming signals on the shorter term charts. Multiple time frame analysis as gives us important information about what other market participants are doing. This next universal truth to price action is called the Time Frame continuity principal. 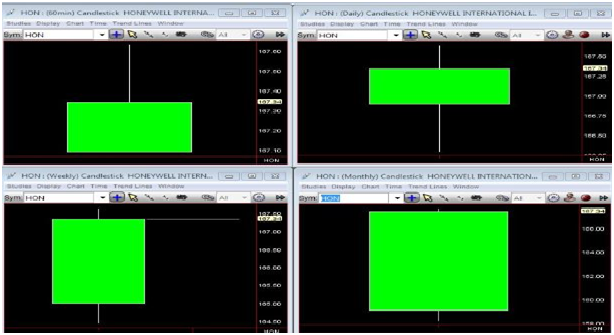 Here is a chart of HON on the 4 major time frames. 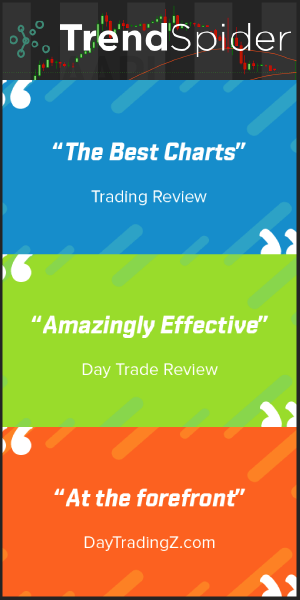 You’ll notice that all four charts are green because they are trading higher from each opening. 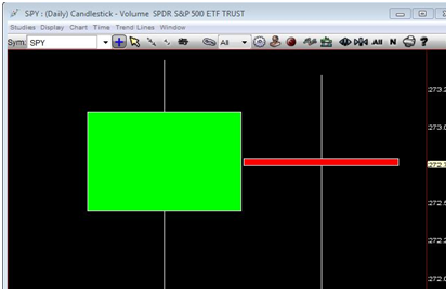 What we know to be true that when all charts are green and the openings are at separate times, the aggressive participants by time and price are on the buy side and taking the offer. You’ll often hear the reason that prices rise is because there are “More buyers than sellers.” That’s not true because all buyers need to have a seller to aggregate with. A buyer may sit on the bid and the price won’t move. 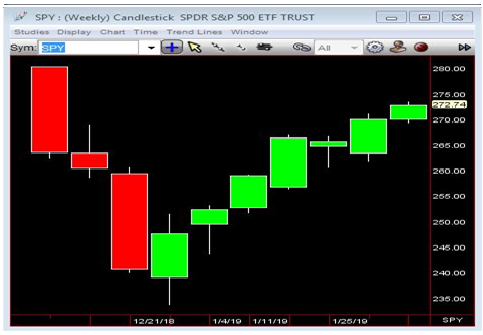 However, during periods of full time frame continuity to the upside, the buyers are all aggressive enough to be taking the offer. This absolutely must be occurring as there is no other explanation. So, based on what we know to be true is that there are 3 scenarios, 4 reversals, and the time frame continuity principal. When We combine all three we greatly increase our probability of being right. Ideally, We get one of the reversals on one or more time frames that back into full time frame continuity. This means that we have had corrective activity with a high probability of resolving higher as every man, Woman, and Bot is back to taking the offer. So what do we know to be true? When you put together the concepts I’ve just presented to you, I already know what your winning and losing trades look like. 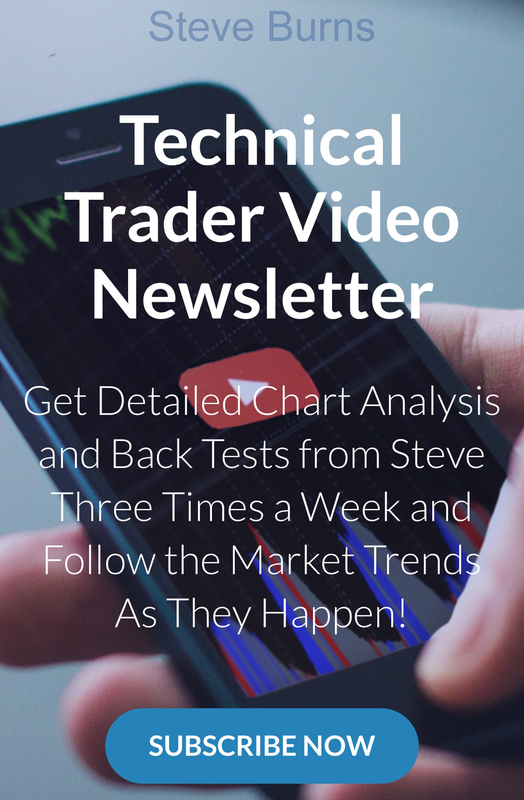 I highly suggest that you use at least 4 time frames and keep this checklist on your desk. Feel free to review any trade you’ve ever done and compare it to what I just showed you and it will line up. Here’s the check list. 1.Chopped up trading a scenario 1. 2. Scenario 2 going against you. 3. Scenario 3 going against you. 4. Time frame Continuity going against you. 1. Scenario 2 in your favor. 2. Scenario 3 in your favor. 3. Time frame continuity in your favor. And that’s what I KNOW to be true.